Arguably one of the most famous bingo sites in the United Kingdom. Gala Bingo has a long-standing legacy and reputation with bingo players. They are famed for running bingo clubs up and down the country. And their online offering is no less as impressive. Why Play At Gala Bingo Online? Gala Bingo has changed its operator since it first debuted. Initially, they run on their own software, although in 2012, they switched to Playtech’s Virtue Fusion bingo network, a platform they currently remain on. Amongst the types of bingo games, you can find at Gala Bingo are 40, 75, 80 and 90-ball bingo games. Approximately 32 bingo rooms are present at Gala, with ticket prices ranging from a penny up to 20p a card. Jackpots typically range up to £125 in standard, hourly bingo games. Many of the bingo rooms at Gala carry names which are associated with major UK TV brands. Deal or No Deal Bingo, Coronation Street and Emmerdale Bingo, and The Chase Bingo. Slot-themed games can also be played, such Rainbow Riches Bingo. An account with Gala Bingo can also be used to access their casino site. They have a range of slots and games which can be played within Gala Bingo itself. 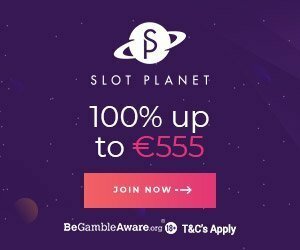 Roughly 275 games can be played, with genres including new and exclusive games, slots, jackpots, side-games, table games, scratch cards and ITV endorsed games. If you fancy table games, live blackjack and roulette can be played, alongside RNG-based editions of these games. As for slot machine side-games, Gala Bingo can offer you titles from IGT, Playtech, Barcrest, Quickspin, WMS Gaming, Blueprint Gaming, and more. 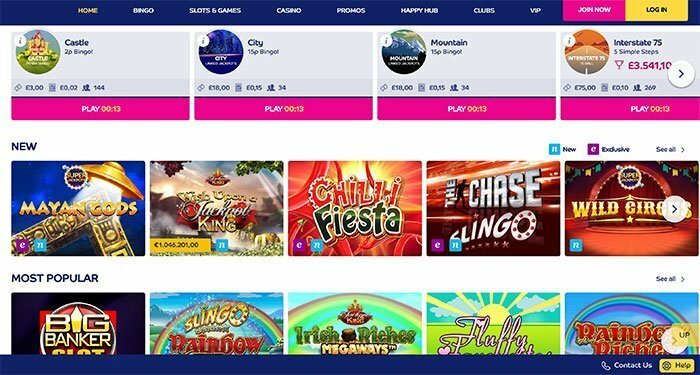 Arguably the more notable slot side-games the bingo site carries are Fluffy Favourites, Rainbow Riches, Pixies of the Forest, Da Vinci Diamonds, Big Bad Wolf, Dwarfs Gone Wild, Cleopatra, Ted, Golden Goddess, 88 Fortunes, Raging Rhino, Monopoly, and Road to Emerald City, amongst others. 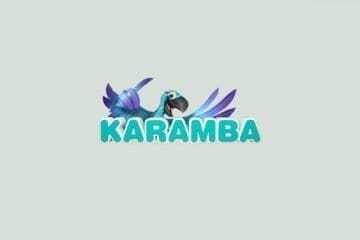 Fan of casino games, check SlotsMillion or Casumo Casino. Gala Bingo does offer a mobile app, and it can be accessed via the iOS App Store for Apple users, or the Google Play store for those players using Android-powered devices. The mobile app offers ample bingo rooms and even a few side-games for you to play. 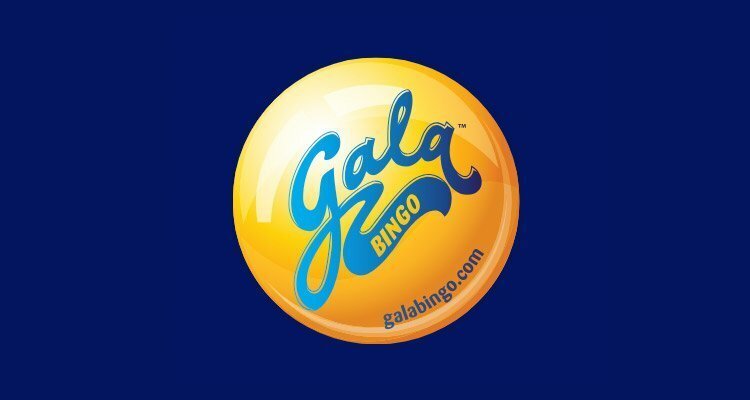 There are no specific promos or bonuses set aside from mobile users, with the same Gala Bingo promotions accessible whether you play from your phone, tablet, laptop or desktop computers. Even so, the mobile app is highly valued in the online bingo world and was named the Best Mobile Bingo Experience winner in 2015 from WhichBingo, as well as the Mobile Bingo Product of the Year winner in the same year at the EGR Awards. Players who have any questions are at liberty to get in touch with Gala Bingo’s support team via several different methods. Our personal recommendation is that you use live chat. It offers quick and efficient support, free of charge to all players. Alternatively, there is an internal messaging service which can be accessed from the My Account tab, and e-mail inquiries can also be sent. If you have a more mundane query you need help with, you may find the answer you’re looking for in the casino’s FAQ (frequently asked questions) guide. Security shouldn’t be an issue at all for UK players. Gala Bingo has been around for decades and is a household name you can trust. The online bingo site is licensed out of Gibraltar and the UK and is regularly audited and vetted and has a shining record when it comes to service, paying players their winnings, and security. Gala Bingo accepts quite a few banking options, all of which are popular with players in the United Kingdom. These include, but are not limited to VISA, MasterCard, Maestro. 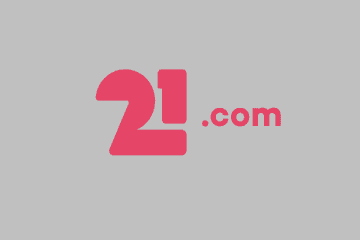 But also Bank Transfer, Click and Buy, Skrill, Neteller, PayPal, Paysafecard and EcoPayz. There are no fees applied to deposits or withdrawals. But there are minimum deposit limits in place if you wish to claim bonus offers. Players wishing to cash out their winnings can expect to wait between 1 and 3 working days once a withdrawal request has been processed. E-wallets such as PayPal, Neteller and Skrill offer far faster withdrawal times than the other options available for you to cash out with. Players must withdraw at least £5 before any withdrawals are processed. Gala Bingo promises a tasty little offer for any new player who chooses to sign up and play with them. The deal is worth a £30 bingo bonus when you deposit and spend £10 on bingo tickets. New players can also snap up 3 days’ worth of free bingo. With over £1,000 worth of prizes handed out every day. Those free bingo rooms are open from 12-2pm and 6-8pm each day. As well as the welcome bonus offer, Gala Bingo also runs regular jackpot games. Both on a weekly and monthly basis. Prize draw competitions (some of which are worth up to £50,000). Prize-pool, happy hour games, and guaranteed jackpot events are also part and parcel of the promotional package at Gala Bingo. Players may also wish to keep their eyes peeled for loyalty offers. The Gala Bingo VIP program is based on Bronze, Silver, Gold, Platinum and Diamond levels. Players earn points which can be redeemed for bingo tickets, access to jackpot games, and even spins on slot side-games.